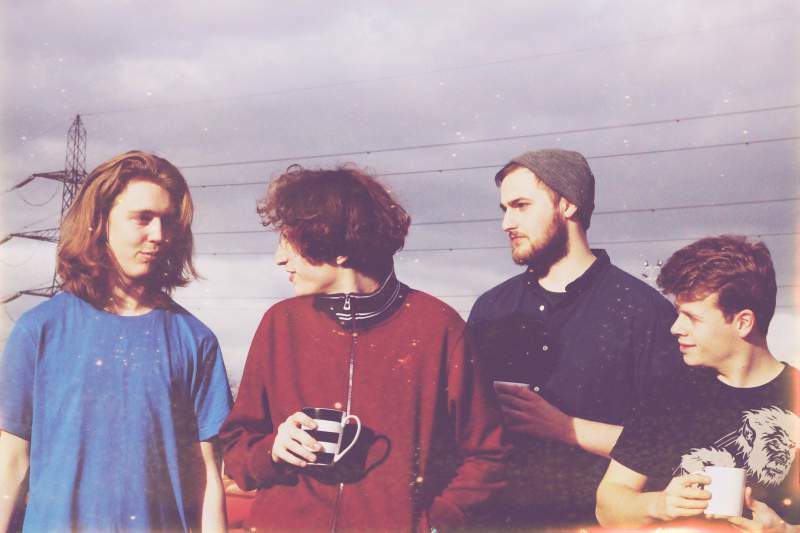 Nottingham indie-four piece Huskies might sound like a chilly bunch but they’re actually more warming than a cosy snuggle up to a fluffy snow dog in a log cabin. Producing sunny and upbeat vibes to every song they create and every gig they play, the band have gained a small but dedicated following of fans who have fallen in love with their debut, self-titled EP. After releasing their latest single North Coast a month ago, the band are now embarking on an extensive UK alongside Leicester-based indie band Clubs. Ahead of their gig at the Head of Steam on Wednesday, frontman Antonio Panzera talked to us about North Coast, the sound of Huskies and the reasoning behind their lupine name. Your new single North Coast literally came out about a month ago; what was the inspiration behind the single? The song is talking about that feeling of being content yet stuck in a situation and the desire to get out of it yet being scared of leaving that comfort. It was originally written whilst we were all at uni and now that we have all left, its story seems to resonate more. In general, what are your major musical inspirations? What’s inspired the sound of Huskies? We are a band full of mix bags and backgrounds ranging from pop, jazz to metal. The key element to this band is the integration of all these influences. We feel it’s important to always try and not just find a safe zone and run with it. Pushing our abilities is the key to progression. The Huskies EP came out about five months ago; any plans for another EP or even an album in the pipeline? After North Coast we still have one more release via Label Fandango. There are no immediate plans for an EP or album, however after the modest success of North Coast and with us being confident our next single will also be a success, you never know! We do have the material! For someone who’s never been to a show by Huskies, what can we expect from you? Lots of vibes, grooving and excitement. We always put on an energetic show. Our music is all about fun and bringing a smile to everything and live is the perfect time to do it. You’re co-headlining this tour with Clubs; what made you decide to split the headline slot between you? Clubs are a band we have been aware of for a few years after they did an RTTV session around the same time we did. We like to think they are the more emotional version of us. We being the sass, they bring the mood. There also great guys and always put on an awesome show so it made perfect sense to team up and travel together. After the tour we aim to sit down and churn out more new material and really focus in on where we want our sound to go. We have a few more shows lined up to keep us fresh, however the focus is to get us sounding better than ever. I’m coming down with Silly Last Question Syndrome here but… why the name Huskies? Do you own any, like that particular breed or was it a totally random decision? It seems quite underwhelming but the main reason was that it aesthetically looked good. The word is predominately straight lines and looks authoritative and great blown up. The backup reason is that we used to be called ALASKA and Huskies live there…don’t they? Huskies play with Clubs at the Head of Steam, Newcastle on Wednesday 3rd June.